At approximately 5:10am on Monday, October 24, 2016, Los Angeles County Sheriff’s Department Sergeant Alfonso Lopez was responding to a stolen-vehicle pursuit call when his patrol vehicle crashed at the intersection of Myrrh Street and Willowbrook Avenue in Compton. A citizen came into the Compton Station to report the crash, stating the driver was unresponsive. Deputies rushed to the scene, approximately 100 yards from the station, where they found Sergeant Lopez in his vehicle unconscious and non-responsive. He was transported to St. Francis Medical Center. Despite the valiant efforts of responding deputies and medical personnel, Sergeant Lopez could not be revived. It is believed he suffered a medical emergency prior to his vehicle colliding with a fence at low speeds. 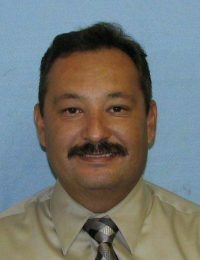 Sergeant Alfonso Lopez, age 47, served in various assignments throughout his 26-year career with the Los Angeles County Sheriff’s Department, including the Special Victim’s Bureau. He is survived by his wife and two children. I miss you, my friend. I think about you often. I wonder if God has assigned you cases. Am I one of your cases, Al ? I couldn’t ask for a better guardian angel.